These are two students who very kindly met me at the airport and escorted me to the taxi and told the taxi driver where to drive me. 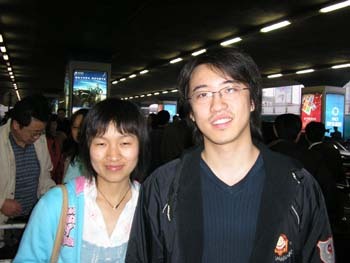 Their names are Li Liyun and Luo Tian. Chinese people put the surname first.